When your pet is not feeling their best, it is important that you seek diagnosis and treatment as soon as possible. Providing you with a comprehensive exam, we use diagnostic imaging to fully understand your pet’s condition, offering effective treatments and care for their specific condition. 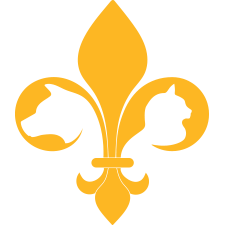 As Southeast Louisiana’s preferred veterinary hospital, you can trust us to put the care of your pet above all else. Using diagnostic imaging, Dr. Tosh and Dr. Bennett are able to see what may not be visible to the naked eye. Using detailed images, we take a more in-depth look into your pet’s health by using our highly advanced equipment for early detection, and diagnosis for your pet. Implementing x-rays to diagnose a variety of ailments, we strive to provide you with peace of mind knowing that your pet’s care is in the best hands. When you come to Clearview Veterinary Hospital, you and your pet are our priority at all times. Exemplary care is our standard, and we believe in treating your pet like a part of our family, no matter what you come in for. Compassion is our mission and we promise to do everything possible to make their stay as comfortable as possible. Whether it’s a broken bone or something more severe, our professional and friendly staff is on call to help. With Clearview Veterinary Hospital, you can trust your pet has the care they need. To schedule diagnostic imaging and testing, or with any questions about the condition of your pet, contact us today.